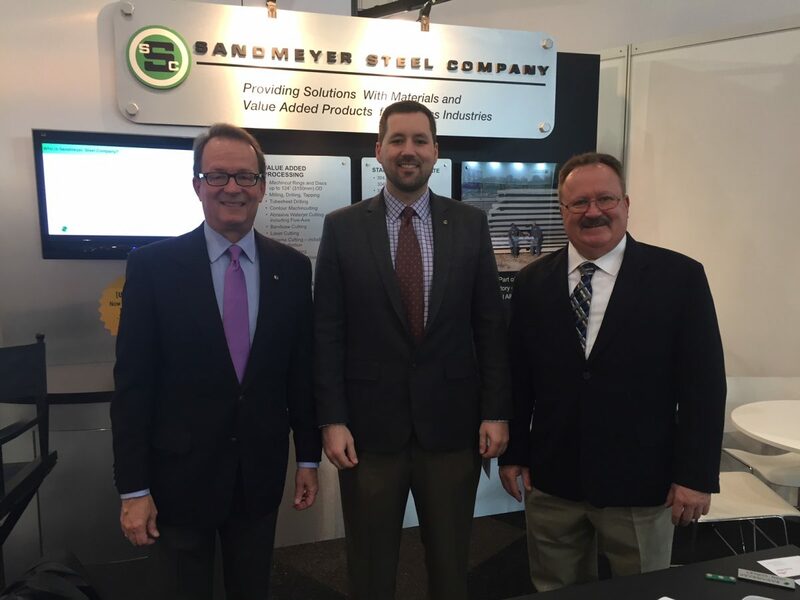 This week Sandmeyer will be displaying at the Stainless Steel World Conference & Exhibition, the foremost gathering of the global stainless steel community. The conference takes place from November 28th through November 30th, 2017, in Maastricht, Netherlands. If you’re at the show, you can find us at stand S642, so come by and say hi! Sandmeyer will shut down for 4 days over the Thanksgiving holiday, with 24 hour emergency service still available. We will resume regular operations Monday, 11/27. Have a great holiday! Sandmeyer is now drilling tube sheets with our QuickMill Annihilator. 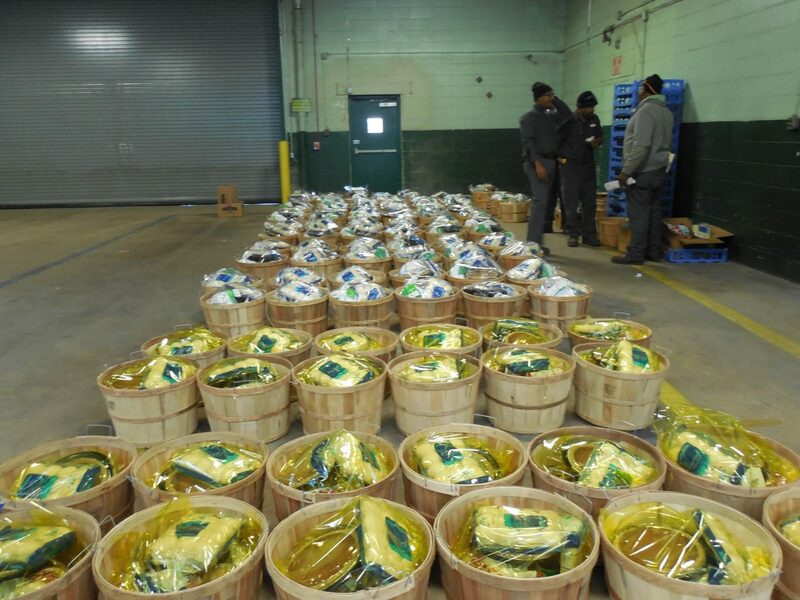 This order for a processing equipment manufacturer included 4 tube sheets made of 316L. They were machined all over with an OD bevel prep to 36-3/16” OD – 1-1-4” thick, with (97) 2.381 diameter holes that have a 64 finish and a tolerance of +/-.002. 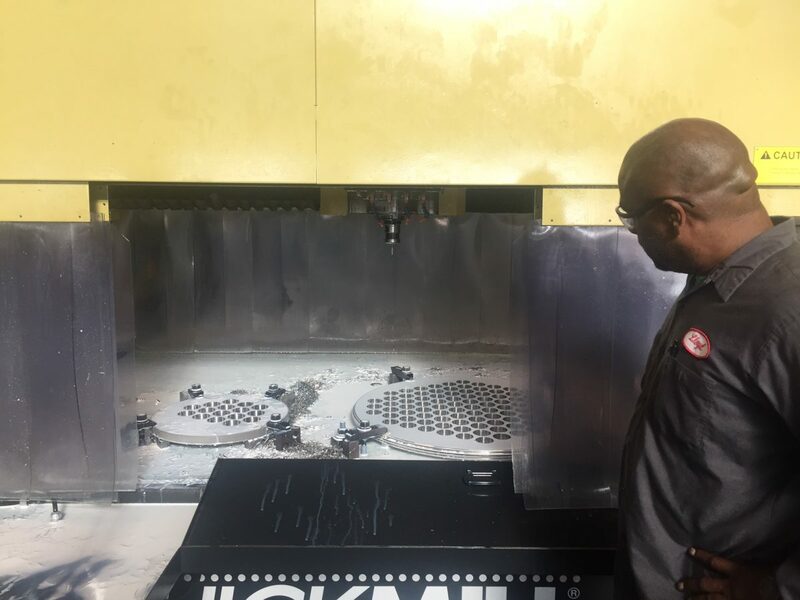 Holes were drilled and milled to size and tolerance on the Annihilator to quickly meet our customer’s timeline. Employee Recognition Day was held at Sandmeyer Steel on November 3rd, 2017. After a company-wide catered lunch, awards were handed out for 2 through 40 years of service with the company. 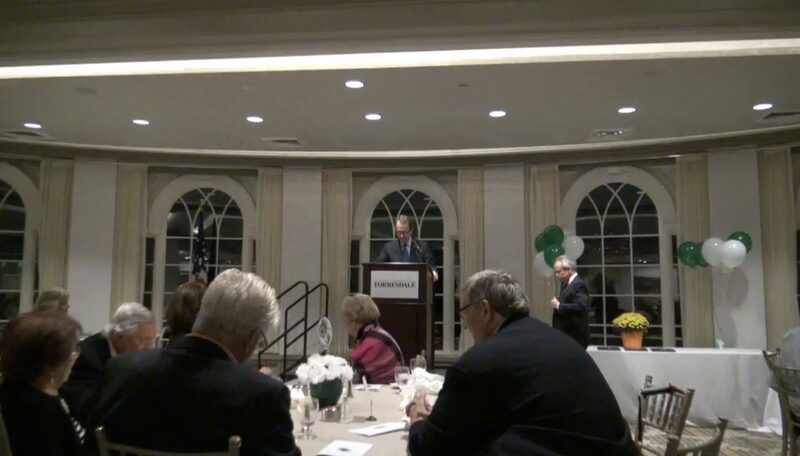 Later that evening, a Recognition Day dinner was held at The Union League Golf Club at Torresdale for retirees and employees reaching 25 years of service.